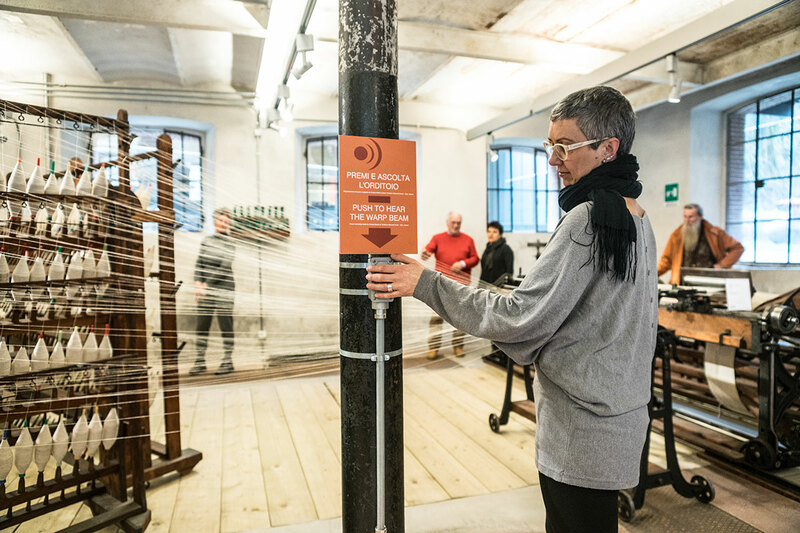 The exhibition path is a real sensory experience, where you can touch, smell, listen, learn, experiencing first hand the manual skills of some of the wool's own gestures: visitors can still recognize inside the rooms, which in the past they used to hold the production cycles of textile processing, the smell of oils for the lubrication of wool for carding, the intense smell of yarns and fabrics just dyed, or the metallic and sharp ones of textile machinery, and with a little imagination it is also possible to perceive the essences of labor and fatigue that are still attached to the walls. To listen to the deafening noises that reverberated in the rooms during the work, we gave voice to the various machines; next to the more representative ones have been applied buttons, which if pressed, reproduce the beat of the frame, the hiss of the spinning mill and the subdued noise of the drums garnished with metal points of the carding department. 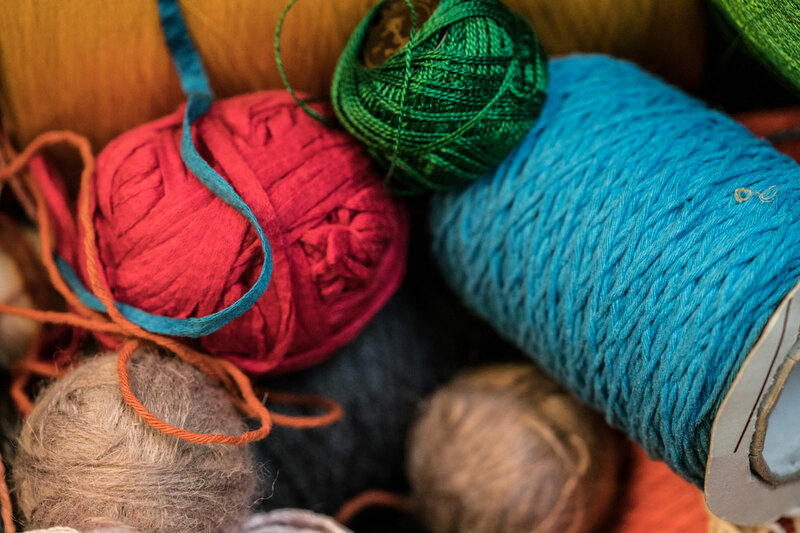 Tact is also fundamental to fully understand the textile processes and the qualities of a fabric; the hand of a fabric technically indicates precisely those characteristics that can only be recognized with the sensitivity of the hands. In collaboration with the Italian Blind and Visually Impaired Union we have created a tactile journey to make tools, fibers, and fabrics accessible, where we learn by touching; in an attempt to break down the perceptive and sensorial barriers that constantly face the disabled of sight, paths have been created that are very useful for all visitors, who thus have the opportunity to discover the importance of the tactile dimension. At the beginning of the museum itinerary some plexiglass containers are placed, containing the most widespread textile fibers, putting their hands inside them, you can try to recognize them according to the sensations that are perceived of hot, cold, soft, smooth, rough . Moreover, blind and visually impaired can experience the corridor of touch: a dark and narrow stone tunnel, marked with suffused LEDs on the floor, where one tries to identify, exclusively by touch, the different types of fabrics hung on the walls. Once the visitor has touched and rubbed the fabric in his hands, he can lightly pull it to light a spotlight and illuminate the caption that indicates the textile quality and the fibers of which it is composed.